The place is only one year old, all bills are included with unlimited internet, undercover parking, and only one other occupant living in the house full-time. Our home will best suit an organised, independent individual who is looking for a place to relax. Looking for a quiet housemate to share my home with, must be full time employed, must love dogs as I have 2... Be clean &amp; tidy, respectful. I enjoy a social drink but it’s not a party house.. 4 bedroom, 2 bathroom plus a media room, Close to University, Chancellor tavern, Woolworths &amp; Coles. Easy access out to Brisbane. Internet included in room rent. Share water &amp; electricity. Choice of 2 rooms, own bathroom with shower &amp; separate bath, toilet. 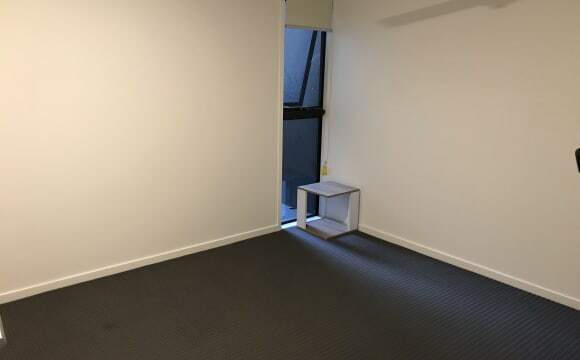 Room is unfurnished so you would need a bed etc. Room has built in wardrobe &amp; cupboards. Excellent area. Sippy Downs Walking Distance to the SC University and Bus stop close by. Parkes with Lakes, walkways, bikeways picnic areas metres away.. 20 minutes to the glorious Sunshine Coast beaches. Renting two identical rooms for two borders in a large 5 bedroom house each with:- A Double bed, study desk, large built in wardrobe, Air conditioning (limited use - chargeable), lovely share bathroom, sharing it with one other border. My Wife and I are in the main Bedroom with ensuite at the other end of the house so you will have privacy. Lovely patio area with BBQ. Access to a nice laundry. 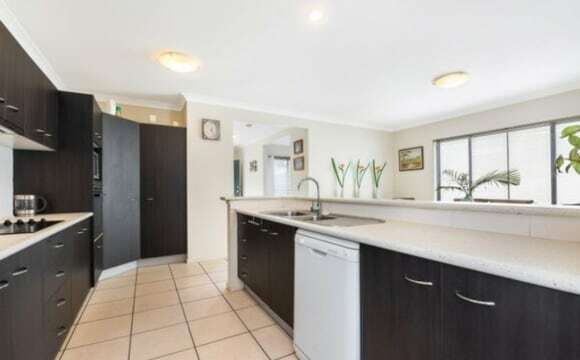 $165 per week (including water, electricity and NBN fast Internet) Exception to the electricity is the use of the Airconditioning and clothes dryer. Walking distance to the USC University and Short drive to TAFE college. 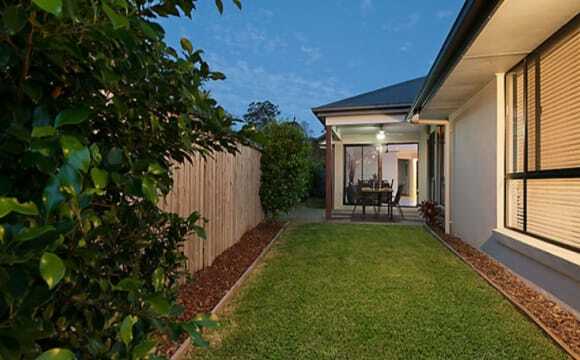 Very close to local shops IGA; ammenities, Not far to Coles and Woolworths supermarkets. Asian supermarket 20 mins. Looking for a quiet Female that can keep the property in a clean, neat and tidy condition. Strictly no sleepovers or parties. This is a family home. Just to be fair.. Common areas, must do fair share at keeping these areas clean. You will also be required to fill in a form to be an approved occupant by the real estate/house-owner for insurance purposes. This will also include a 100point Identification and ID photo requirement. Rent includes all bills: electricity, water, unlimited internet(NBN), lawn maintenance. 10 mins from USC(Walking) and 1 min to Bus stop. 3 bedrooms, 2 bathrooms, 2 toilets in total, you can use 1 bathroom and 1 toilet alone. Private yard with outside table and chairs, ideal outside eating coffee/tea place. Also available to use the Washing machine and Dryer. FIRST WEEK RENT FREE... to approved applicant willing to take over lease! Furnished room, own bathroom &amp; lockup garage! Unlimited internet &amp; electricity inc. Looking for someone to take over our daughters lease asap - as she has needed to relocate. 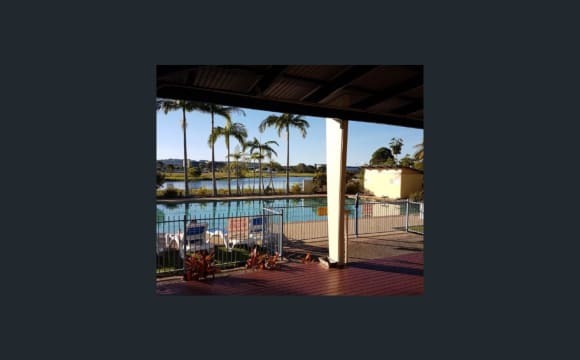 The Village - is a lovely quiet place to live, just a short stroll to the University of Sunshine Coast and has unlimited internet and electricity are included in your rent, as well as your own ensuite and lock up garage, your own private courtyard all in a fully gated complex. Onsite managers are friendly and down to earth. Security is great. And you can relax by any one of the three swimming pools onsite or why not have a game of tennis on the facility’s own tennis court. Your room is furnished with a Queen size bed, bedside table and office chair to use at your own in-built desk. Common areas are cleaned once a fortnight by a cleaner, so you only need to worry about your own room and bathroom. Common areas are also furnished, and you have access to a washing machine and dryer in your own unit. 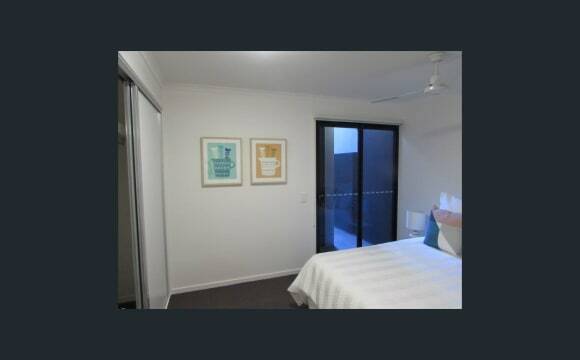 The property is well-maintained and a nice living space central to public transport and close to nearby amenities and tourist destinations Please note this room is a break lease, so you would be taking over a lease which will end on the 02/01/2020 Room is available immediately. Please note photos used are an indication of the room and unit only. Please make contact to arrange viewing. Please note this room can also be taken over by a couple however the weekly rent increases to $318 per week. Modern 4-Bedroom Property in the Sippy Downs area, very close to USC and Chancellor Park Shopping Complex. The house's living areas are well furnished, with one other super friendly female housemate who is in her mid 20's. I am employed full-time and work away during the week. We each work full time, and are very friendly and relaxed. Absolutely pristine home inside and out. Very modern furnishings including massive flatscreen television for all housemates to use with Foxtel. Unlimited wireless internet available, with no restrictions, air-conditioning throughout, as well as a gardener that does the lawn once a month, at no extra cost to tenants. Electricity, wifi, water, gas, Pay TV, all included in the weekly rental price. If interested, please enquire with me as soon as possible!!! The room is available now for 2 weeks until 30th of April. And then again for longer period from the end of May. We have a happy and social atmosphere. The house is large and spacious backing onto lakes. Complete with all bills paid and unlimited WiFi. 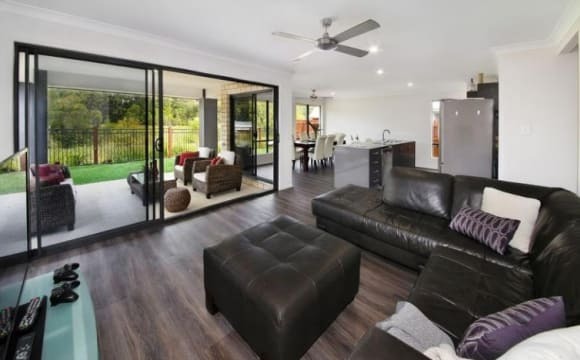 This Aussie home has Air conditioning, dishwashers, multiple living areas with indoor and outdoor kitchens and dining, plus a hot tub /spa where you can relax those muscles after a big day of studying or a hard session at the Gym. We are surrounded by tropical gardens, parklands and heaps of birdlife.. And there is a kayak you can take out into any of the lakes. The bedroom has a Queen size bed, wide screen, ceiling fan, mirror robe doors and study area and can accommodate a couple at $230 a week. We are walking distance to buses, University and the shops. There is plenty off street parking in this quiet friendly neighbourhood. 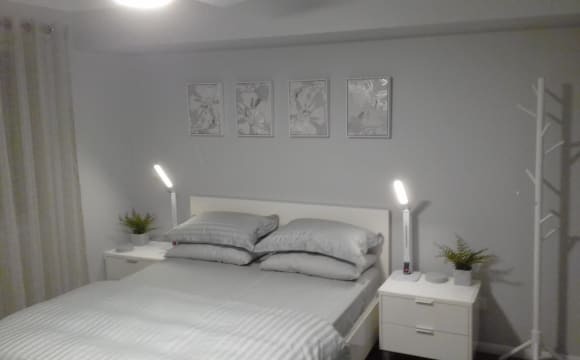 This share house has a quiet peaceful atmosphere, making it easy for you to sleep, work or study. We enjoy socialising and are Always up for a good laugh or a chat but no pressure and we respect space and privacy. You will be sharing life with well-behaved dogs who will want to adopt you and shower you with puppy love when ever it suits you. So feel free to drop us a line. We look forward to meeting you. Cheers Janda. 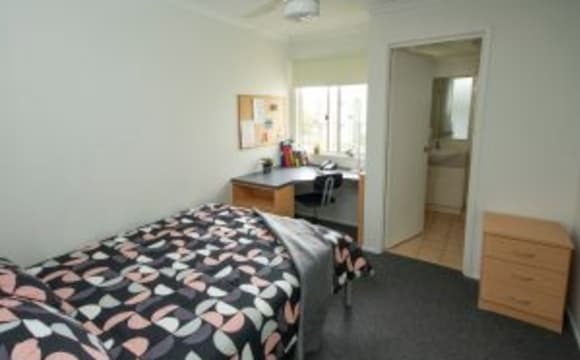 Perfect for USC students Located 10minutes walk away to the Uni. Will be sharing bathroom with 1 or 2max other females. Big 2 story, 4bedroom house. Massive bedrooms, all 3 rooms are 4m by 3m (floorplans will be linked) Rooms available as of the 24th of may Ideally looking for minimum 3-6month stay. Rooms will be furnished with brand near beds and brand new mattress with bed side tables. No couples Not a party house Unlimited internet, electricity and water included within price. I also have an inside kitten usually stays in my room. Strategically located, close to USC, shops and bus stop, and with excellent facilities. All rooms have recently been painted and provided with new carpet (updated pictures to follow soon). Internet, electricity and water are all included in the rent. Common spaces, including two large lounges, dining, kitchen, veranda, laundry, garage and garden are for use by all housemates. The room has a built-in wardrobe and ceiling fan. Furniture includes a king single bed, bedside table and desk with chair. 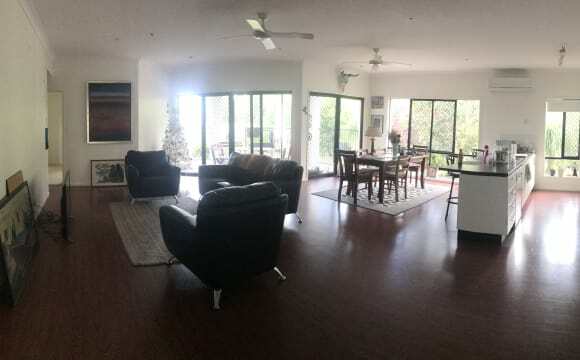 Large six bedroom home in Sippy Downs, 15 minute drive to the beach and shopping centres, 20 minute walk or 5 minute drive to the university, gym and grocery stores and public buses running directly out the front. Furnished living, dining and outdoor area. Perfect for students. Electricity, water and internet included in rental price. One room available for a single person or couple (singles preferred) with shared bathroom. Air conditioned living area. Parking available in large driveway and on street. Quiet area with nice garden. Lovely, friendly bunch of roommates who don’t get in each other’s way - house is big enough so that we don’t run into each other much at all. The room is air conditioned and has ceiling fan, furnished with a queen size bed. The living area has air condition and ceiling fans. Netflix available. Very nice backyard with BBQ and patio. Hi, I have someone moving in at the end of April.. This is a clean and quiet home . The room has a QS bed, side draws ceiling fan built in robes with mirrored doors and shelving. The house has air-con , all bills included in rent with unlimited Wi-Fi, There is also a study . you would share the bathroom with one other. Would prefer female housemates, Walking distance to the uni with parks and lakes close by. I have a beautiful dog who is an inside dog he is quiet and friendly. It is not a party house . Feel free to contact me if you would like to inspect or have any questions. Self Contain Room with Ensuite, Free Internet and Resort Facility. 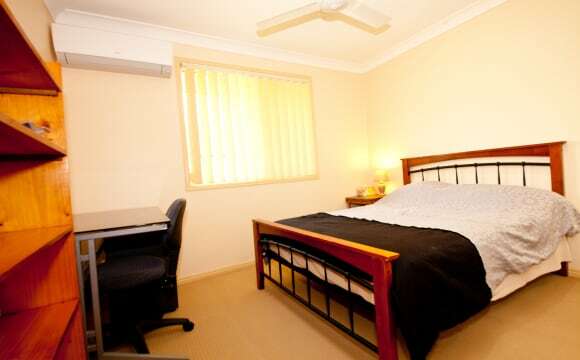 I have a fully furnished bed room with Ensuite, Free Internet available in my 4 bed room unit. It is within 5 min walking distance from the Sunshine Coast University, so you will be sharing the unit with other university students. Includes Electricity, Unlimited NBN WIFI Internet. When you rent my room, you will have full access to all the common facility such as swimming pool, gyms, and resort facilities. House in the new Harmony Estate. Off- street parking, own bathroom, veggie garden, brand new home. Close to SCUH, beaches and shops. Easy access from the highway.